This entry was posted in 2016 Election, Donald Trump, Donald Trump, Republican Party, RINO, Trump Derangement Syndrome, United States, US Presidents and tagged Aleister Crowley, Barbara Bush, George H.W. 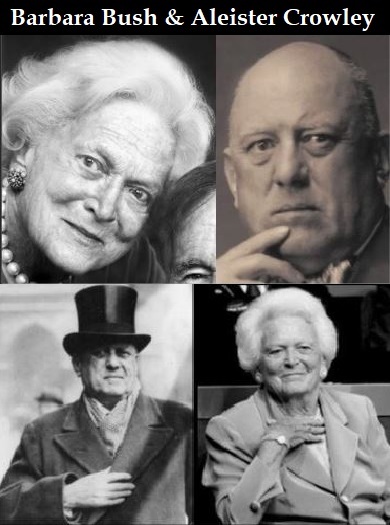 Bush, Susan Page, The Matriarch: Barbara Bush and the Making of an American Dynasty. Bookmark the permalink. 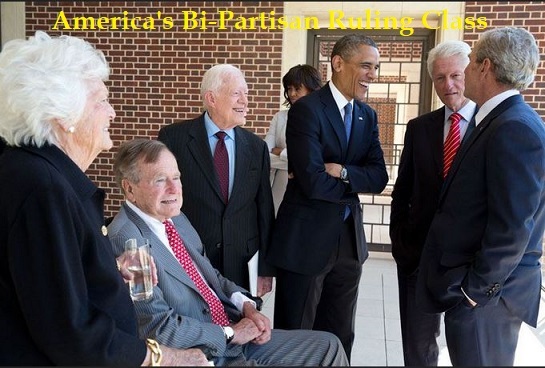 What a great photo of Obama, George H. W. Bush, and Clinton, entitled “America’s Bi-partisan Ruling Class.” It so accurate and true. 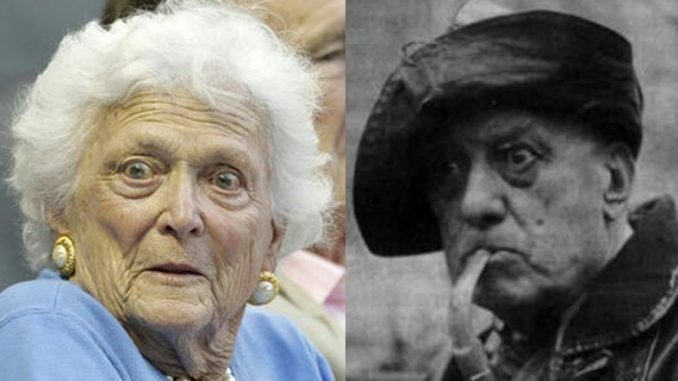 I have very little good to say about Barbara Bush. I objected to a pro-life site’s laudatory obituary of her, which neglected to mention that she was rabidly pro-abortion. What a piece of work Barbara was. She lost her only daughter and had three more sons before daughter no. 2 arrived. Barbara then stopped having children. We should not be deceived by the fact that she had six children into thinking incorrectly that she was pro-life. Spawn of satan/moon child. That picture of the elites at the top makes my skin crawl. Very SAD commentary that a former First Lady would make such comments about the POTUS…no matter who he/she is. The office of the POTUS is being demeaned, diminished, bashed, demonized, etc etc by “never Trumpers” and the “resistance,” to the detriment of the Democratic Republic government of the USA in the past & in the present—-for now and in the future of the office of POTUS—at home and abroad. If this is a true reflection of Barbara Bush, I am sorely disappointed b/c I’d always respected her candor for most matters. Calling her “First Lady” is numericist. We need laws that will make all naming equal. She looked like an Evil Miss Hathaway female impersonator. She was the spawn of Crawley, no way she’s some innocent waif. I can only imagine what pure hell she went through during her childhood and teenage years.